Fans Toys There are 7 products. An original mold by Fans Toys. This toy is designed to fit in with the Masterpiece Transformers toy line. 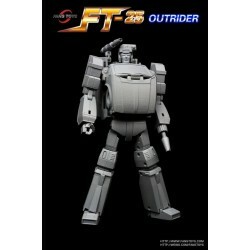 Outrider stands 21CM/8.3" tall in robot mode and contains die-cast parts and rubber tires. An original mold by Fans Toys. 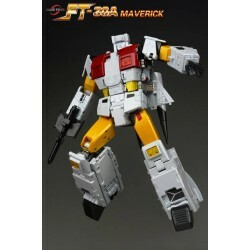 This toy is designed to fit in with the Masterpiece Transformers toy line. 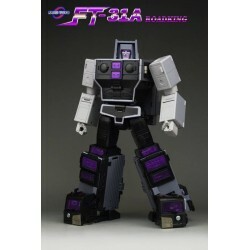 Figure stands 25.5CM/10" tall in robot mode. An original mold by Fans Toys. 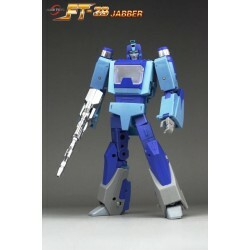 This toy is designed to fit in with the Masterpiece Transformers toy line. Figure stands 25.5CM/10" tall in robot mode. Other figures shown in the pictures are sold separately. This is a deposit of the item, not the full price. Please take a look at our deposit pre-order policy before you place the order.